While most people associate Thanksgiving with food, what feast would be complete without great beer. This year I had an incredible beer on Thanksgiving and I wanted to share that with everyone. This post is coming a little late due to the Ohio vs Michigan series, which was followed by an out of town business trip, but everything I say here would work equally well for Christmas dinner, or Easter dinner. While the inclusion of beer on the Thanksgiving menu is a no brainer, the question of what beer to drink is less straightforward. Firstly, it’s a celebration so the beer should taste great. Secondly, it should be a beer that pairs well with a wide variety of foods. Finally, given the large intake of food that goes with the traditional Thanksgiving meal it should not be too heavy. Those constraints made me immediately think of a Saison or Belgian farmhouse ale as they are often called. My inclination was reinforced when I read Christopher Barnes post, “How to Drink a Turkey Under the Table” over on his blog, I Think About Beer. 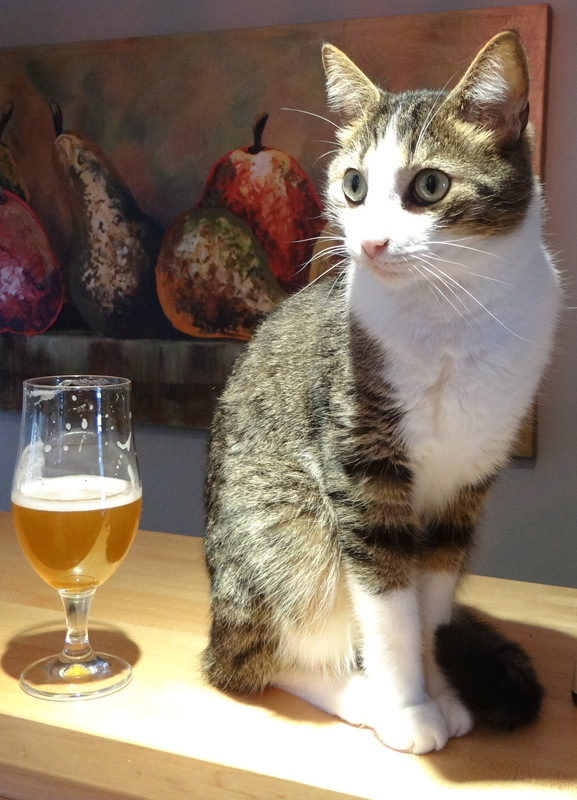 He lays out all of the reasons for drinking a Saison at Thanksgiving. I won’t reiterate them here but it’s a good read if you are on not completely swayed by my recommendation. Now that we’ve settled on a Saison, the question is which Saison. 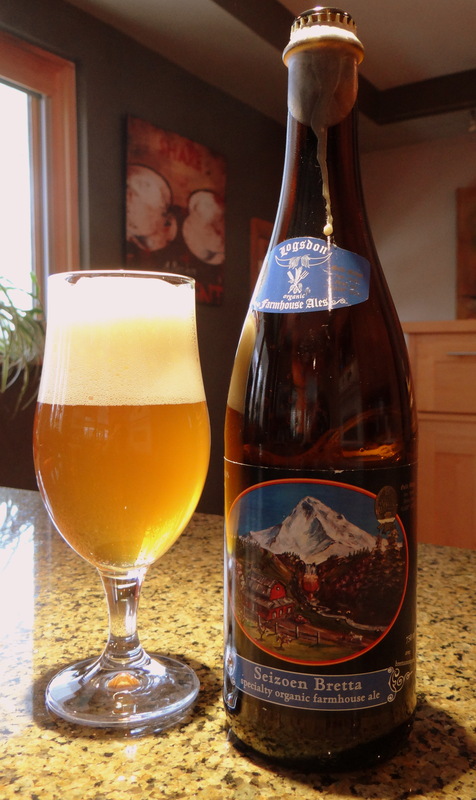 I decided to go with a beer that I picked up this summer while in Oregon and had been saving for a special occasion, Seizoen Bretta* by Logsdon Farmhouse Ales in Hood River, Oregon. Logsdon is a small brewery located on a farm near Hood River. They brew small batches of traditional Belgian style beers using organically grown ingredients. Brettanomyces yeast (or Brett) is used to make Seizoen Bretta, hence the Bretta part of the name (Seizoen is the Flemish spelling of Saison). This beer took home the gold medal at the 2012 Great American Beer Festival in the American Style Brett Ale category. Brett yeasts dry out the beer and add flavors that are hard to describe but very tasty (in my opinion). On the Logsdon website they simply say it adds complexity, but other descriptions I’ve seen are barnyard, horseblanket, and wet dog in a phone booth (I can see why the marketing people prefer to say “complexity”). Believe me it tastes better than it sounds. This beer is also bottle conditions with pear juice for natural carbonation. That’s not something you see very often. Availability: Year round but the distribution is largely limited to better beer stores on the west coast. The beer pours a beautiful, hazy golden-orange color with a big fluffy white head from the bottle conditioning. Over time the head settles down to a thin layer of pure white foam on a sea of liquid gold. The smell has the expected Brett barnyard funkiness, fruitiness that brings to mind apricots and pears, and some tart lactic acid notes that I associate with sour beers, like a geuze. The taste is a wonderful mélange of tart green apples, pears and other fruits, Brett funkiness, and restrained acidity. The mouthfeel is thicker than I expected, but the high level of carbonation from the bottle conditioning keeps it from becoming too syrupy. The finish is bone dry with a lingering fruitiness. This is one fantastic beer. The fruity esters are perfectly balanced by the tartness of the lactic acid, and the Brett adds a layer of complexity on top of that. One’s perception of a beer is subjective and depends on many factors, but I would have to say this is the best beer I’ve had all year. (Editors note: I’ve since had a chance to try Seizoen Bretta on tap 6 months later, and I stand by my statement.) I started drinking this about an hour before dinner and the bottle ran out during Thanksgiving dinner, so I followed it with an Orval, which is the archetypal Brett Ale and one of my all-time favorite beers (an opinion shared by many others). Much to my surprise the Orval could not quite measure up to the Seizoen Bretta. If you can get your hands on it, and you like Belgian style beers, you must try this beer. Unfortunately it is only available on the West Coast (Oregon, Washington, California, British Columbia) plus Arizona and one store in Vermont (go to the Logsdon website for details), but I know that some of my readers are Oregonians. I expect you to try it and let me know if you think it is as amazing as I do. For the rest of us who might be looking for an alternative saison for Christmas dinner there are a lot of great options out there, some of which have been reviewed on this site—Saison Dupont the granddaddy of saisons, one of the Stillwater Saisons (Cellar Door, Stateside Saison, Beer Table Table Beer), or Tank 7 Farmhouse Ale (unfortunately not available in Ohio). Note this is the only beer thus far that has received a perfect 1o rating. The Nadia Comaneci of beers. Thanks for the mention! This is a great beer. The Peche N Brett is also phenominal! I had one when it was released and have another in my cellar. I read your review of Peche’n’Brett. I’ll look forward to the follow up to see how it ages. I have some friends in Corvallis, Tillamook and Eugene who might be able to snag a bottle for me. At what time in the year is it released? I just checked my review. I think I posted it not long after it was released. So, I think it will be coming out early next month.